CDC estimates that 700,000 deaths and 6.4 million infections occur every year in facilities like long-term care facilities and hospitals. from 3.7 Million HAIs including C-diff infections,* crushing the bottom line. Regulations require radically reduced dangerous microbes or pay steep penalties. Deadly pathogens in the air, on scrubs doctors wear, on curtains pulled to examine patients. This creates a standard of care and a risk management crisis! 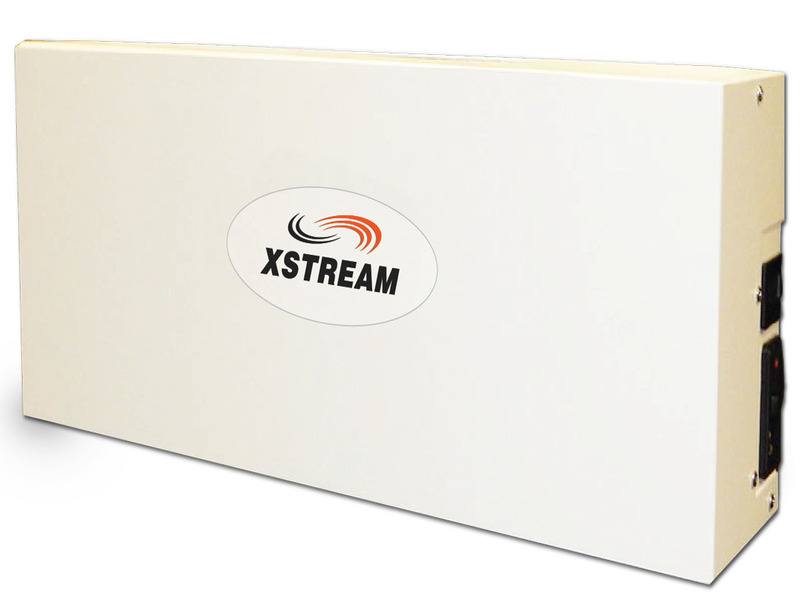 XSTREAM 2000® is the most powerful, deployable, and cost-effective technology available to confront the crisis of health care associated infections. The effectiveness of the free-standing XSTREAM 2000 Infection Control system is based on the continuous generation of cluster ions with positive and negative charges. The clusters are created by Tidal Air movement through proprietary cells exposed to ultraviolet light. The ions then attach to disease-producing microbes and destroy them on contact throughout the health care environment. 1 to 3 Million Infections Occur Annually in LTCF’s. Infections include urinary tract infections, diarrheal diseases, antibiotic-resistant staff infections and many others. Everyday Urgent Care facilities and Emergency rooms are treating patients with all kinds of illnesses; carrying viruses and bacteria from one exam to another on their jackets/scrubs. 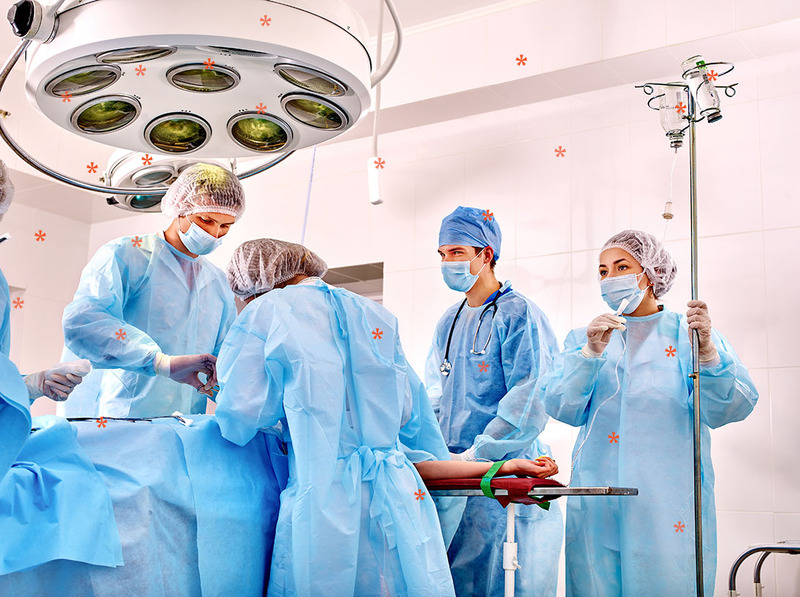 How many pathogens and dangerous bacteria are lurking in your operating room? Pathogens that survive in the air and land on operating equipment. Daycare facilities are breeding grounds for bacteria and viruses. Young children put many things in their mouths that have been in other children's hands and those children may have come to daycare with a virus. XSTREAM 2000® has completed testing in two renowned facilities. 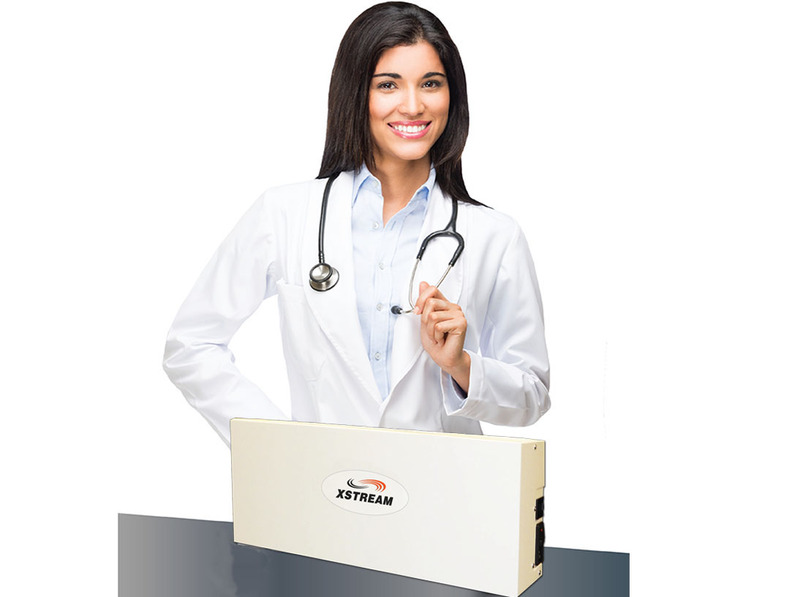 XSTREAM 2000® is a 10th generation advanced infection control system that operates 24/7/365 for continuous killing of bacteria and viruses. $10 Billion** Annual cost to US health care providers from 3.7 Million HAIs including C-diff infections,* crushing the bottom line. Increasing levels of C-diff are causing particular concern. Methicillin-Resistant Staphylococcus Aureus (MRSA) and Vancomycin-Resistant Enterococcus (VREs) are also increasing. 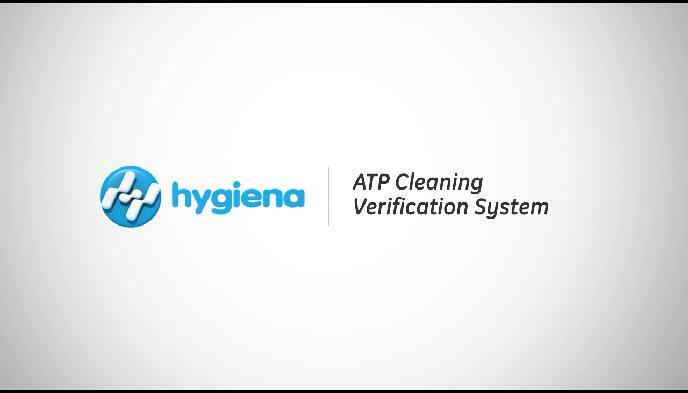 New regulations require facilities to provide environments with radically reduced dangerous microbes or pay steep penalties. The effectiveness of the free-standing XSTREAM 2000® Infection Control system is based on the continuous generation of cluster ions with positive and negative charges. The clusters are created by Tidal Air movement through proprietary cells exposed to ultraviolet light. The ions then attach to disease-producing microbes and destroy them on contact throughout the health care environment. Q: How much power does it take to run the X2000? Q: What is the life expectancy of the X2000? A: The X2000 has a 10 year warranty and is expected to run for 10 years or more. Q: Does the require any maintenance? A: The X2000 requires that the Reactor Core and Fan be replaced every 2 years at a cost of $1000.00. Q: What is my cost per day to use the X2000? A: Depending in the way the X2000 is financed, the cost per day is typically between $6.00 and $8.00. Q: What is delivery timing? Jim graduated from Johns Hopkins University with a degree in Engineering Science, and then earned an MBA from American University. He held various sales, management, and system engineering positions with IBM before creating his own company, Software Consortium in 1991. He served as CEO until 2007 when he sold the company. He is currently CEO of Xxelerate Inc. which provides strategic and tactical business advisory services. Jim graduated from Wheeling Jesuit University in 1967 with a degree in Economics, History, and Philosophy. His MBA work was done at George Washington University and IBM Executive Management School. He held numerous sales, management, and engineering positions within IBM including for the NASA/Apollo Project and was the Director of Marketing and Telecommunications for IBM America/Far East. He has created or led twelve companies through his venture capital company including Outdoor World, which sold in 1988 for $50 Million. Mr. Masterson has been involved in the medical industry since birth. His father was a prominent orthopedic surgeon and his mother was a nurse. He created XSTREAM in 2011 after almost dying of a surgical site infection at a magnate hospital in Northern Virginia. Using technology that was installed in secure government locations he has developed the XSTREAM products for use in all types of environments. Dr. Ford Stevens, (Woodie) graduated from Wheeling Jesuit University in 1967 in Pre/Med biology. In 1977 he earned his Doctorate of Dental Medicine from the University of Pennsylvania and is in private practice. In 1988, he was awarded a Fellowship in the Academy of Dentistry International. Dr. Stevens has extensive training in sales, marketing and communication. He is the consultant to the Department of Cardiology at the Fitzgerald Mercy Hospital and an Association Professor of Clinical and Restorative Dentistry at the University of Pennsylvania School of Dental Medicine.